Release of Outer Membrane Vesicles: Is it a Novel Secretion Mechanism? 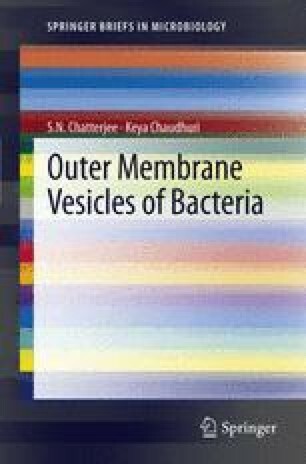 From a comparison of the role of membranes in eukaryotic cells in the secretion of viruses and other materials it was originally proposed in 1967 that the formation and release of outer membrane vesicles (OMVs) from a Gram-negative bacterial cell represented a novel secretion mechanism of these bacteria. Subsequent experimental studies including genetic analysis supported and established the original idea. While discussing these aspects it is now proposed that the formation and release of OMVs represented the seventh secretion mechanism of Gram-negative bacteria in general.